Warner Bros. Interactive Entertainment & Traveller’s Tales have revealed the first Lego Batman 2: DC Super Heroes trailer for your enjoyment. 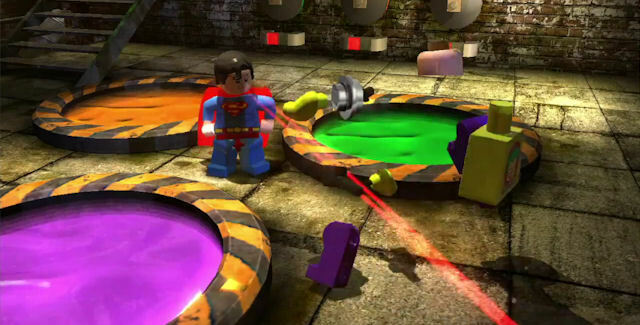 In the newest Lego action-adventure open world game, Batman & Robin are joined by various DC Comics superheroes like Green Lantern, Superman & Wonder Woman, in order to defeat villains such as The Joker & Lex Luthor. Lego Batman 2 will feature over 50 playable characters and takes place in a gigantic Gotham City environment for you to play in. The first gameplay video stars Batman, Superman, The Joker & Lex Luthor. Lego Batman 2 will be out in stores in June 2012 for Nintendo Wii, Xbox 360, PlayStation 3, Windows PC, Nintendo DS, Nintendo 3DS, and PlayStation Vita. How does Lego Batman 2 look to you?